The best thing about being a photographer is giving people photos that make them smile, laugh or even cry. I love that they will have a memory of a moment in time that will last forever. And when a client wants to frame this moment and put it in on their wall, I am so happy! When they walk by that picture, hopefully it will put a smile on their face and help them treasure the moments they've been given. 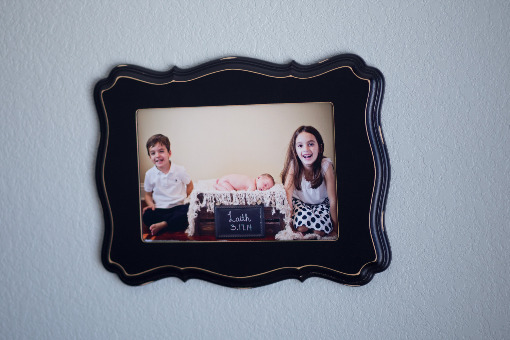 This is why I am so excited that one of my clients introduced me to Organic Bloom frames. She had one on her wall and I loved it! These are not ordinary frames. They are made here in the US in Oklahoma (my hubby's home state!) and the crafting is amazing. First of all you can get them in various shapes, colors and even with layers. And you can customize everything! The fabulous part is defintely in the details. Each frame is pre-cut with holes to hang either vertically or horizontally and there are small plastic dots on every corner of the back to help the frame hang evenly and to protect the wall. 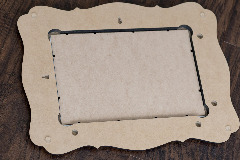 You can get a chalkboard insert to convert any frame into a chalkboard. Think of the cute custom pics you could take of your kids holding a message, like "Thanks!" or "Happy Birthday" or "First Day of School." 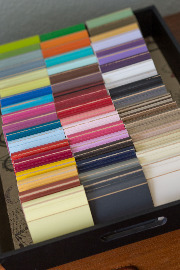 They have so many colors to choose from and lots of combinations to be had! And I have color blocks that you can play around with to get the perfect combination or color match for you. There are traditional sizes of frames: 5 by 7, 8 by 10, 11 by 14, 16 by 20, etc, and non-traditional sizes as well. One of my favorite sizes is an 8 by 12. This is perfect for pictures that you don't want to crop. Pictures are taken in a 2 by 3 proportion, so an 8 by 12 photo retains that same proportion without any cropping. There are also speciality frames, like small ornament photo frames, pumpkin frames, heart frames and more! Here is an example of a framed picture that a client of mine ordered. It turned out so cute!! This is an 8 by 12 photo that when framed measures 14 by 18. Take a look at all they have to offer! Message me with your wish list and I can get you pricing.